This is my favourite spread of the album of the beautiful Berkeley Church wedding. During the bride and groom speech, I got close to the bridal party to catch their reactions. My expectations and persistence were rewarded with some beautiful shots. The image on the left showcases the maid of honour and bride's sister wiping a tear. 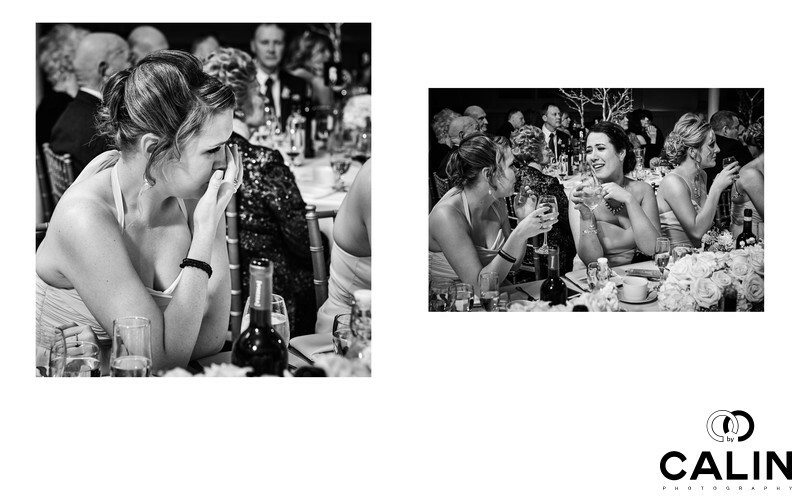 The photo on the right, shows the bride's sister and a bridesmaid reacting to one of the bride's speech.